Napa Valley Dental Group is committed to helping patients afford their dental care needs. Any additional bone grafting or additional surgery is extra. Dr. Dalla and Dr. Bhullar have proudly served the families of Napa, CA with the highest quality dental services. Our office is known for the extensive knowledge and personalized treatments. If you’re nervous about your dental visit, let us know! We want you to be as comfortable as possible during your dental treatment and are pleased to offer our patients the option of comfortable, safe, and effective sedation dentistry. 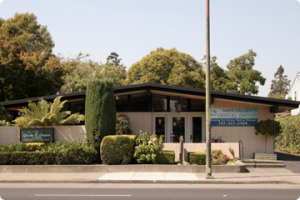 Our team at Napa Valley Dental Group is here to ensure you have a comfortable visit in a friendly and relaxing environment. We are happy to explain every treatment and answer any questions you may have. We want your visits to be comfortable and efficient. We offer blankets and music for your comfort, and maintain a small-town, friendly environment where our patients are treated as family. Dr. Dalla, and Dr. Bhullar have built lifelong relationships with his patients, and provide superb dental care for a healthy and attractive smile. They create an atmosphere of trust with patients, and is always available to listen to you and answer any questions you may have. Read more about our doctors. Our doctors create an atmosphere of trust with patients, and are always available to listen to you and answer any questions you may have. Our entire team will provide a great experience using the highest standards of professionalism, modern facilities, techniques, and equipment. Our professional team at Napa Valley Dental Group includes highly skilled doctors in all aspects of dentistry. The team at our dental office strives to making your visits a positive, effective, and educational experience. All of our doctors and staff work together as a team to ensure the highest level of dental care for all our patients. We serve patients from whole Napa Valley CA, Vallejo CA, American Canyon CA, Sonoma CA, Fairfield, Green Valley, Suisun City, St. Helena. We accept all insurances, such as Delta dental, Cigna, United Concordia, Metlife and several others. We accept Delta dental PPO and Delta Dental Premiere both, so you don’t have to worry about high fees associated with Delta Premiere only providers, as your co-payments will be less with Delta Dental PPO. We are an affordable dental practice with high quality and latest best dental equipment. If you are looking for best dentist in napa, Vallejo, American canyon, Fairfield, Suisun city, Sonoma, st Helena give Napa Valley Dental Group a call at 707-257-2400. Patients love our services and refer friends and family to us for consultations and we are proud to become their dental providers. When we hear, someone saying Dr. Dalla is my napa dentist, we took pride in that and from there on we always strive to excel in whatever services we provide either its general dentistry, cosmetic dentistry or dental implants and kids dentistry to next level. We want your experience to be enjoyable and provide painless, comfortable dentistry so that you can proudly say that Napa Valley Dental Group is my napa dentist and that will be our highest compliment. For any emergency dental in Napa CA, please call us immediately at 707-257-2400 and we can promise that we will provide you with the best dental experience for lifetime of great oral health.